Johns’ newest single is a Vince Gill/ Leslie Satcher penned story of redemption called Bread And Water. You can listen to it below. 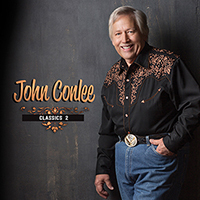 Classics 2 was released on April 7 on Conlee’s own Rose Colored Records. A complete track listing and previews are below.